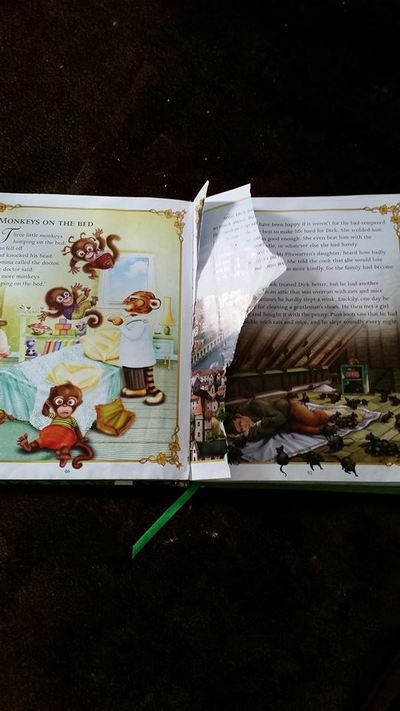 Do your children have a habit of ripping books? And how do you deal with this? I never really had a problem with this. Because I've always had a love of books I taught my children from a young age to respect theirs. They were never allowed to leave them lying around or to mistreat them in any way. The good thing about that is that now as adults they still have their childhood books to read with their own kids. I've always taken such good care of my books that I was totally devastated when my kids ripped the pages of a couple of books. They don't do it often, but it still makes me sad. I have no idea how to stop them from doing it if they get in the mood to do it. No! My children were taught to respect books. The thought of a ripped book is total anathema to me! Akin to people turning down book pages. WHY? WHY? WHY? Have you not even got a scrap of paper to use, let alone a proper bookmark? If I find a page so desecrated, I'll 'iron' it flat, but the crease can NEVER be fully removed! If I come across a lovely card, I'll buy to use as a bookmark! Have heaps of differing bookmarks I've collected over the years. If have excess, I donate to local library. They give them to their elderly customers' to use.